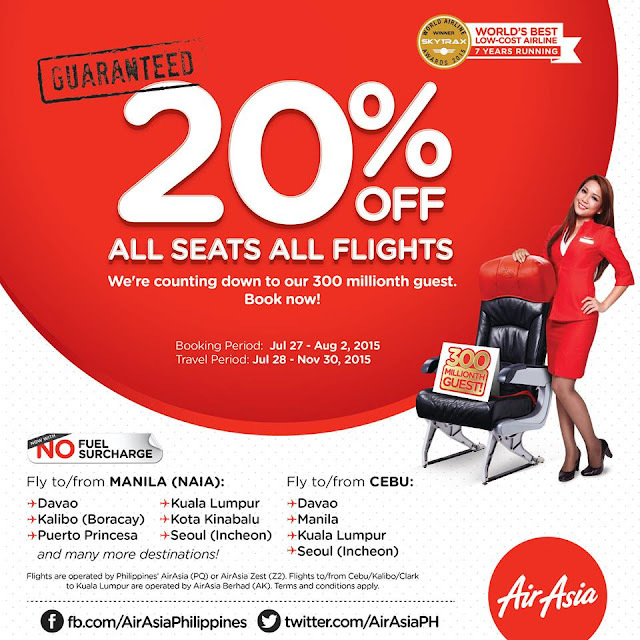 Air Asia Promo 2016: Guaranteed 20% OFF! ALL SEATS. ALL FLIGHTS from Cebu. Fly to Manila, Davao or Incheon! Book your flights with our 20% OFF SALE on ALL SEATS & FLIGHTS & be our 3,000,000th guest! This is our way saying thank you for making us the World's Best & letting us fly you to your destinations, 300 millionfold! Low fares made even lower, guaranteed! 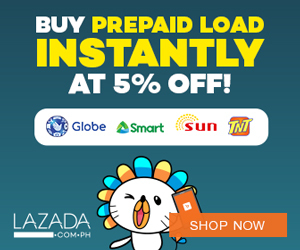 Fly to/from Manila, Cebu, Boracay, Macau, Kuala Lumpur & many more! Share this good news to your family and friends! Hurry & book now!